This is the Beasts of Fable Book 1 Legendary Dos Ryga. The quest can be picked up from Gentle Sans, located in the Shrine of the Two Moons at 60,23. Your team is : 3 Ravens or 3 Crows, S/S perfered. Were going to start of with casting darkness. 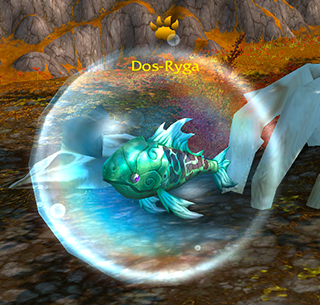 Dos-Ryga will retaliate with whirlpool. Our next move is Nocturnal Strike. He will return with Frost Breath. He basicaly keeps Whirlpool and healing wave on CD, so all you have to do is use the Raven/Crow team by Keeping Darkness and Nocturnal Strike on CD and Alpha strike Spam. 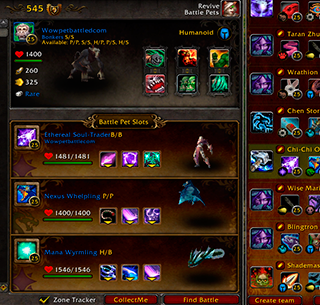 When one raven goes down, and Darkness is still up, just start with nocturnal strike, and keep chaining them. The darkness will mitigate his heals and you will whittle him down to Zero. Onto the next legend!